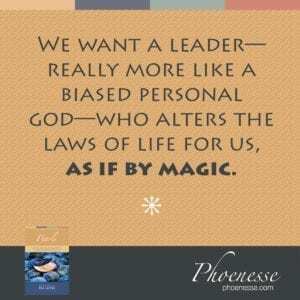 If we are far enough along on our path of personal development to open ourselves up to transforming our Lower Self, we are also capable of experiencing tremendous joy and fulfillment—along with genuine leadership…What does leadership entail, in its truest sense?.. As leaders, things won’t always go our way. So it will also be critically important that we develop our ability to withstand frustration. More than this, if we want to become whole and truly unified people, we will need to reconcile the apparent dichotomy of these two opposites: frustration and fulfillment…The last rung on the ladder will walk us into a deeper and more radiant world as the point of frustration narrows…We will discover the divinity of a particle of frustration. And it will no longer be frustration. It will miraculously bring us the highest fulfillment imaginable.